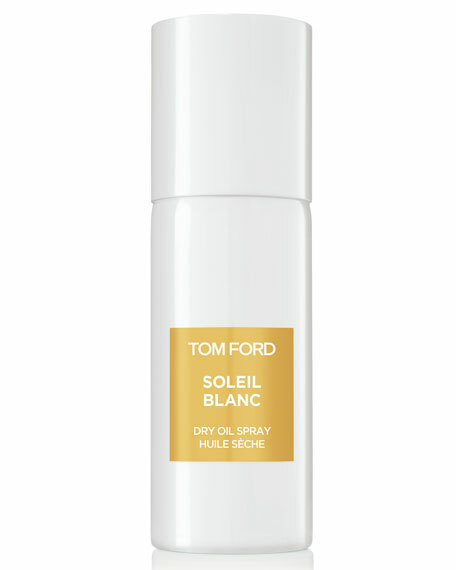 Tom Ford introduces his first dry body oil spray, perfect for luxurious and lightweight application. The mist absorbs quickly, nourishing skin with sweet almond oil. 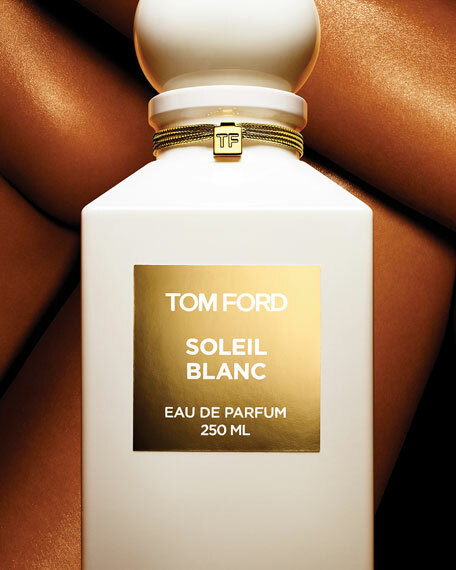 Lightly fragranced with tom ford private blend Soleil Blanc fragrance, the solar floral amber scent exudes seductive refinement and refreshing decadence. Easily dispenses from any angle to cover the body. For in-store inquiries, use sku #2021196.